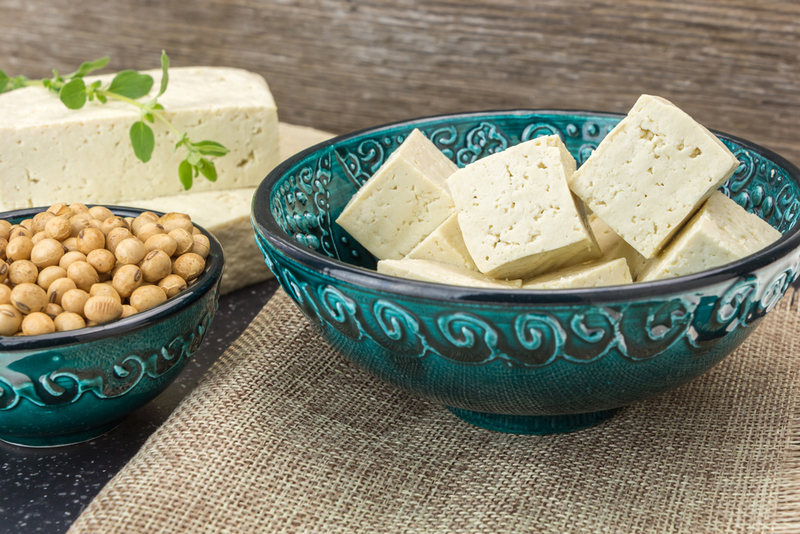 Home Health What’s Healthier: Tofu or Tempeh? Natural instinct tends to gravitate to tofu for a vegetarian or vegan-esque option and incorporation. But its often forgotten relative is actually not too distant, even potentially a close comparative. But what actually is tofu and tempeh and how may one benefit over the other? What Is Tofu and Tempeh? Tofu is essentially produced using the process of soy milk – soaked soybeans, blended in water, and finally strained. Further steps include adding heat and a coagulant (such as calcium chloride) to aggregate the protein and form a curd, similar to those of cottage cheese. The liquid is removed and the curds are mashed and formed into a curd block, ultimately producing tofu. Tempeh is also produced with soybeans, but in its whole form. Basically, tempeh production dismisses the initial steps of soymilk creation. Instead, the entire soybeans are often mixed with other grains, fermented with a type of fungus and vinegar, and formed into a blocked, final product. The basics of their production lead to differences in their appearance, consistency, flavor and nutritional value. The straining process of tofu ultimately creates a soft, smooth texture that is white in color. It lacks pronounced flavor on its own, allowing a great ability to soak and adapt to the flavors it becomes paired with. Since the whole bean is used in tempeh production, it is essentially visible even after its entire processing. The appearance is generally brown in color with a firmer and chewier texture than tofu. Much like the varying characteristics of tempeh and tofu related to their divergent production processes, the nutritional content also highlights disparities as compared below. While their uses are similar and each displays unique characteristics, one might take nutritional precedency over the other. Primarily based on its minimal processing and obtaining its whole bean form, tempeh may just be the most nutritionally-packed. Even despite the greater calorie load in tempeh, the advancements are related to its higher protein and fiber content. In addition to the nutrients identified and compared above, tempeh is also suggestive to retain more vitamins and minerals found within soybeans, as well as offer additional nutrients if mixed with a grain. The fermentation process tempeh undergoes is also advocated for digestive health. But their healthful benefits are up to the discretionary desires of use, as some individuals may have a chosen favorite based on personal preferences. And despite the disparities, both tempeh and tofu are a valuable plant-based protein option. Although vegetarian and vegan practices and options are personalized, consistent research does suggest incorporating more plant-based products can foster a healthy weight and reduce the risk of chronic diseases. Experiment with tempeh and/or tofu by adding into soups, salads, casseroles, smoothies, and sauces!